2018 is marked for its mid-period by major events as it is the 100th anniversary of the end of World War One, sign of a constant peace in the world. Impression accentuated by the “outstretched hand” policy of the North Korean leader Kim Jong-un. 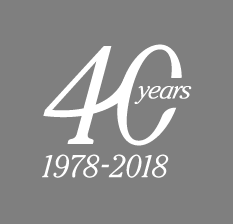 This year with such memorable events, Anthony & Cie celebrates, peacefully and humbly, 40 years of experience in the support of its wealthy clients in the management of their assets, in France and worldwide. Since their creation in 1978, the company acts as a Multi Family Office (MFO) for international clients.